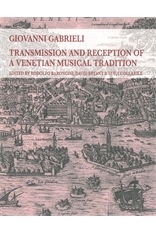 Knowledge and debate in the field of sixteenth- and early seventeenth-century Venetian music has greatly benefitted in recent decades from studies of major institutions, composers, repertories and sources, as also from investigations of the quantitative aspects of musical life in what was one of the largest, richest and most commercially oriented cities on the Italian peninsula: the Venetian musical phenomenon includes, on the one hand, regular or sporadic musical activities in the city’s many churches and private palaces (activities which provided significant earnings for large numbers of musicians, whether or not salaried members of the ducal cappella) and, on the other, the auxiliary trades of music printing and instrument making. The transmission of the musical repertories has also received notable attention: in particular, the contemporary and later reception of Venetian musical repertories in different political, linguistic and/or confessional areas. Central, too, have been questions of ‘sound’, both with regard to the particular interaction between musical composition, the spatial peculiarities and the specific liturgical and ceremonial traditions of the Venetian ducal chapel, and in the context of music-making at large. This collection of essays on the life, times and works of a composer who ranks among the most outstanding musical personalities of his day variously unites these strands in an albeit partial attempt to interpret Giovanni Gabrieli’s output and activities in their Venetian context and, at the same time, cast light on their broader historiographical significance: on the one hand Gabrieli as point of synthesis of a complex Venetian musical tradition, on the other his interaction with and impact on contemporary musical life, his influence on later generations of composers both at home and abroad, the rediscovery of his achievements by nineteenth- and twentieth-century historians and performers, the revisitations of his music by twentieth-century composers.